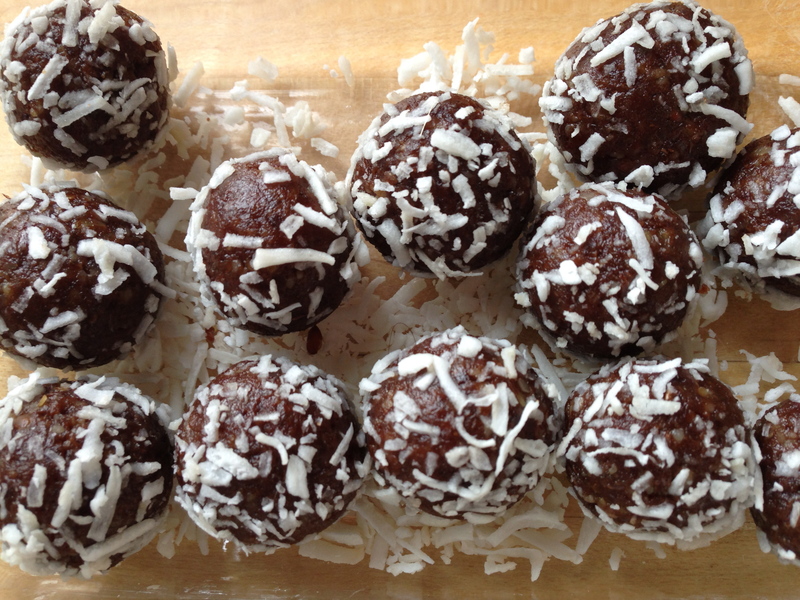 These Power Balls are one of many easy cleanse-friendly recipes that come in Dr. Jodi Larry‘s handbook for her Cleanse for Life program, which I’ve participated in twice and wrote about here. With spring on its way (please), there’s no better time to consider kick-starting a new, healthy lifestyle. Craving chocolate or something sweet? Pop one of these babies in your mouth! They are a breeze to make, with only 5 ingredients, and are so delicious you won’t believe they’re so good for you. Blend all ingredients in a food processor. Roll mixture into balls. 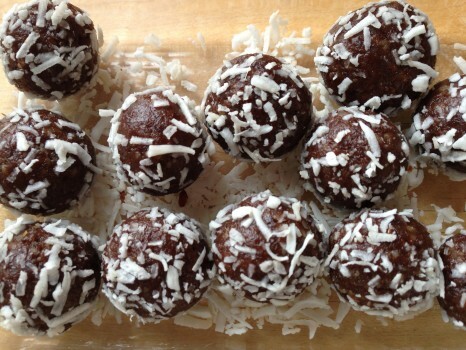 Roll the balls in shredded coconut. Refrigerate for about an hour, if you can wait that long.